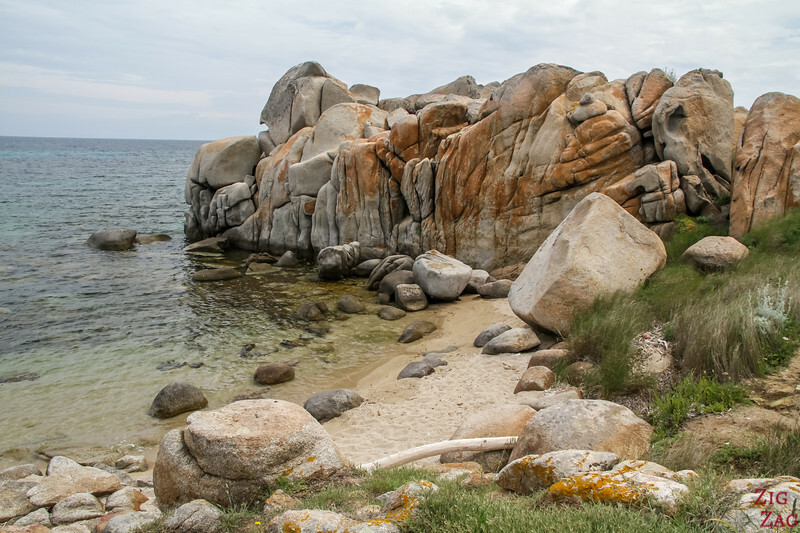 Heading to South Corsica? 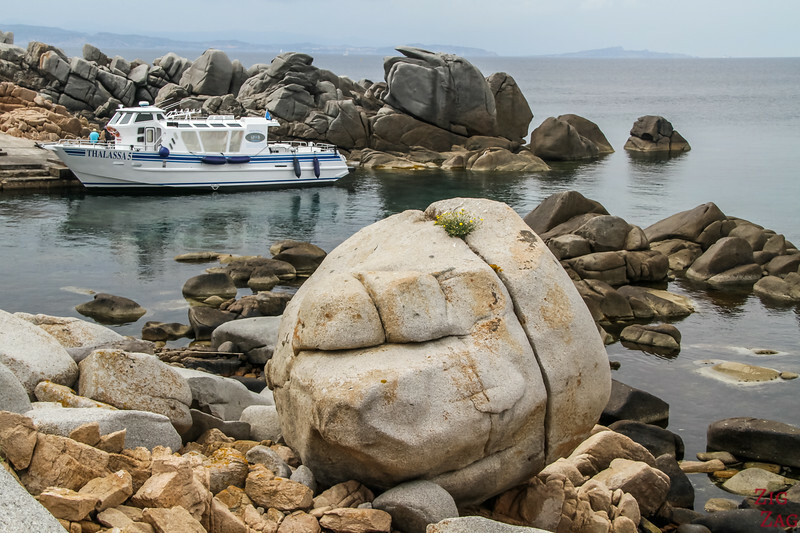 Don't miss a visit to the fascinating Lavezzi islands Corsica and their giant boulders. 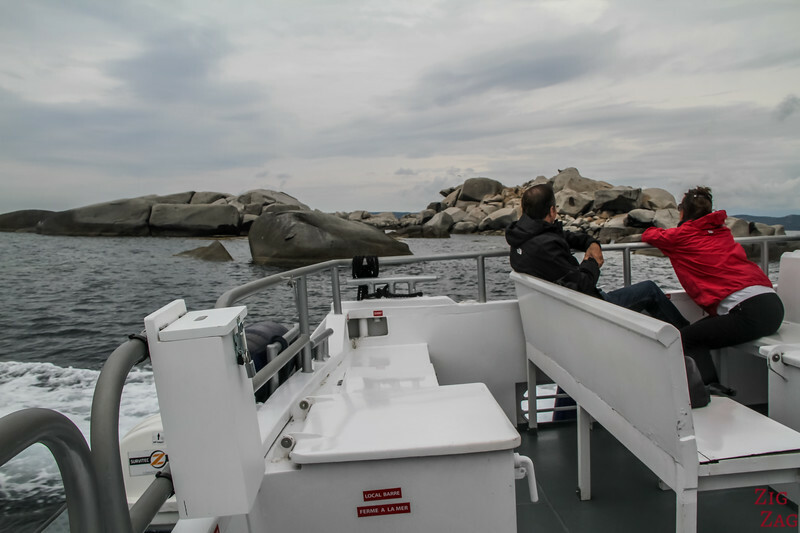 Below is my guide with plenty of pictures and tips to plan your excursion: boat tours, walking paths, conditions, beaches and many many rocks. 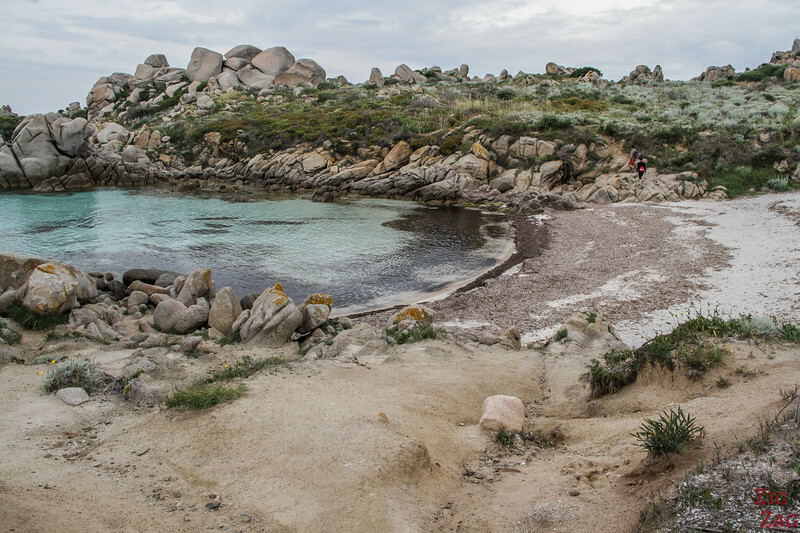 Why visit the Lavezzi islands Corsica? 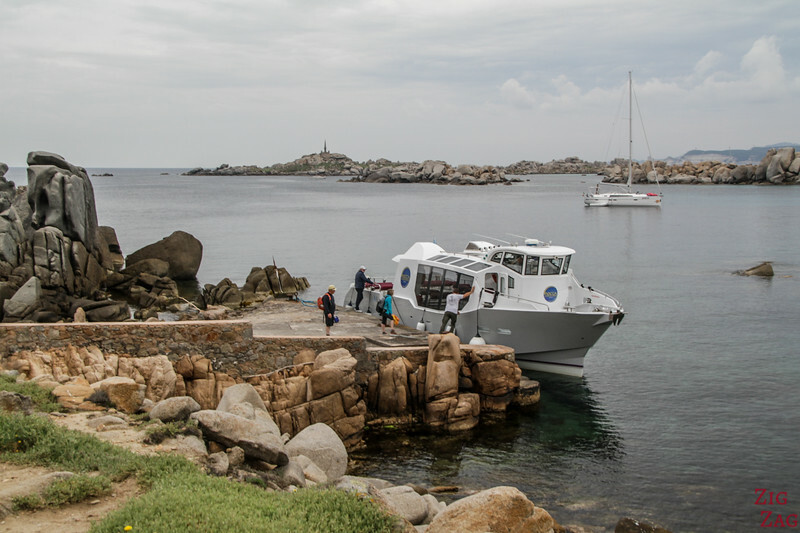 How to get to the Lavezzi islands? 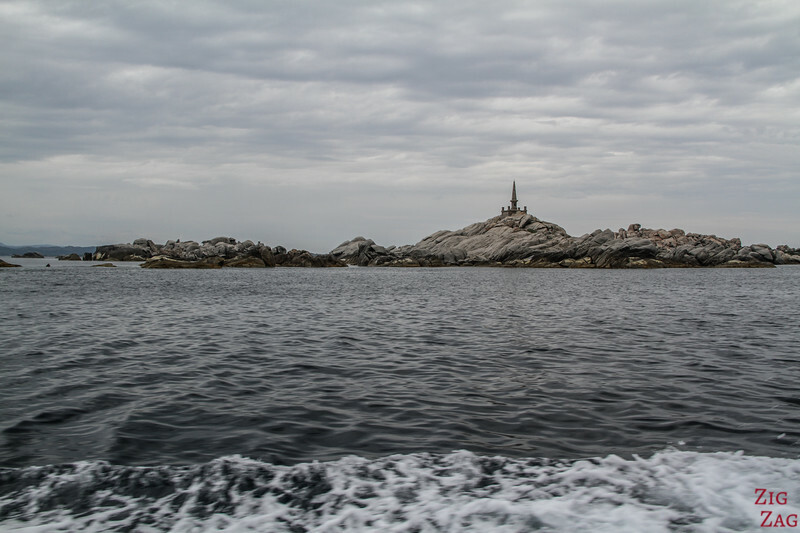 The Lavezzi archipelago is a series of small granite islands and reefs. 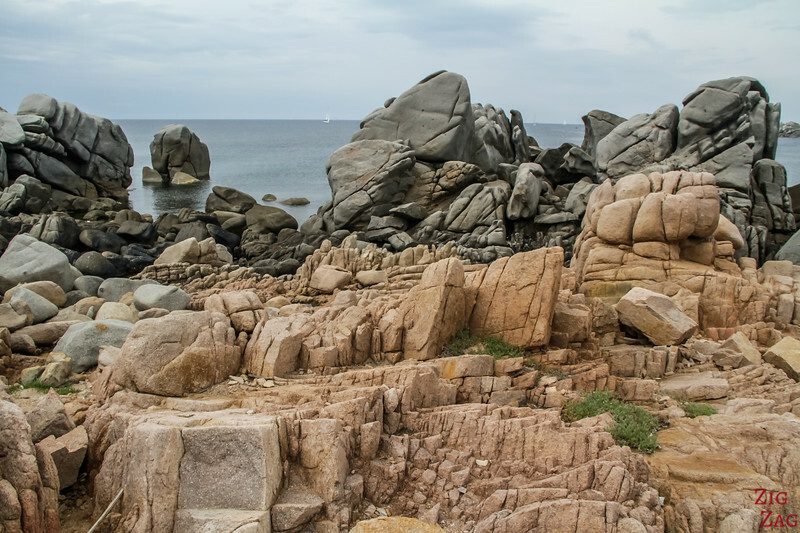 Only 30min by boat from Bonifacio, you can explore a land full of giant boulders of different colors and shapes. It is sometimes referred to as the 'Seychelles of the Mediterranean Sea' (but at a much smaller scale of course). 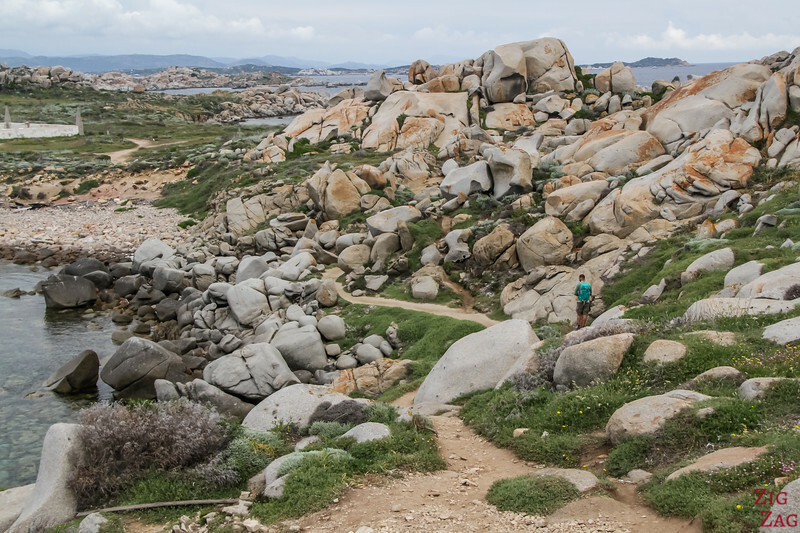 This 'granite chaos' is one of the top things to do in Bonifacio and also best places in Corsica (see my list). Here is a maps of South Corsica to give you an idea of where the Lavezzi islands are located just South of the island. 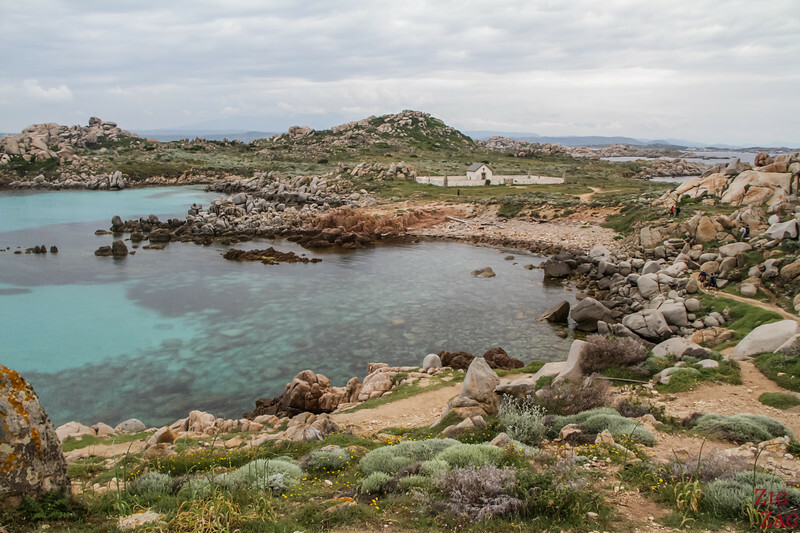 They emerge in the strait of Bonifacio between Sardinia and Corsica, just 4km from the Corsican mainland. 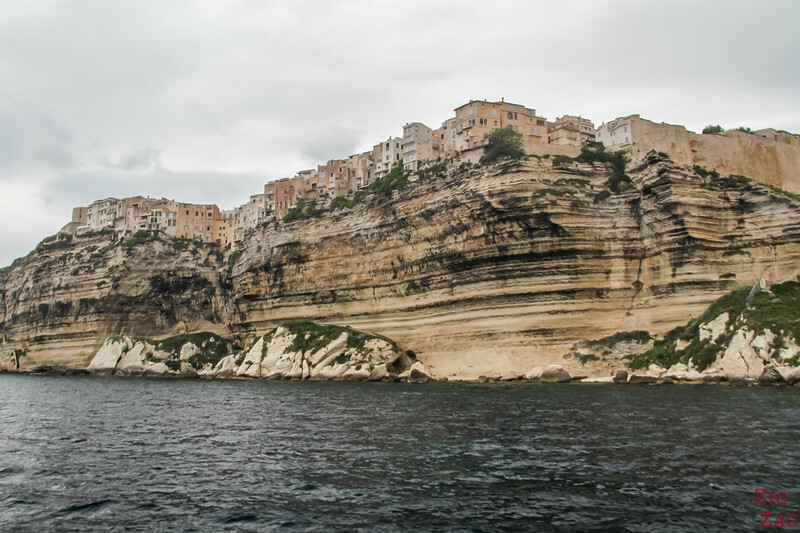 It is a 10km boat ride from Bonifacio. The island you can visit is the main one on the reserve: Lavezzu. 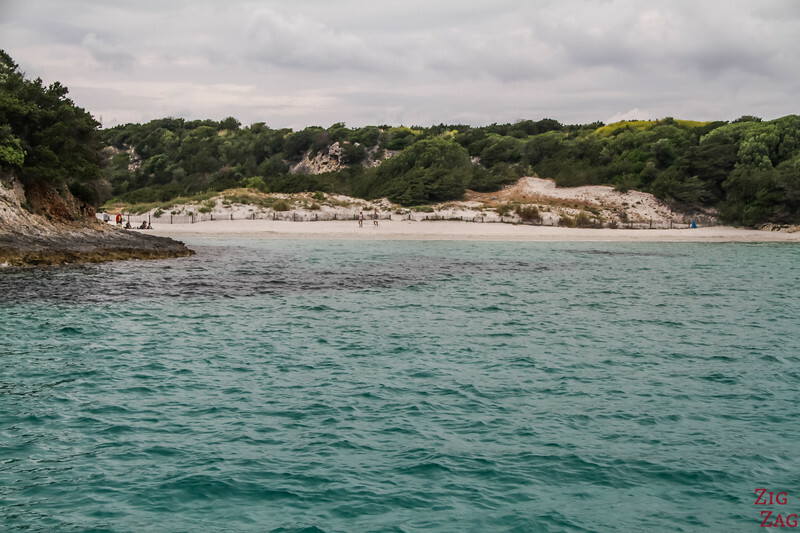 Note: a few departures are possible to get to the Lavezzi islands from Porto-Vecchio but they are less frequent and the sail time in longer. 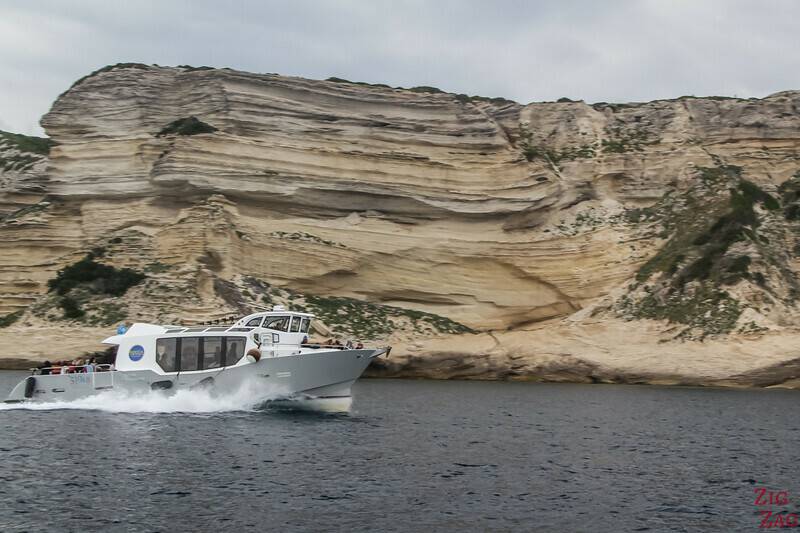 If you don't have your own boat, your best options is to take one of the navette-boats from Bonifacio. 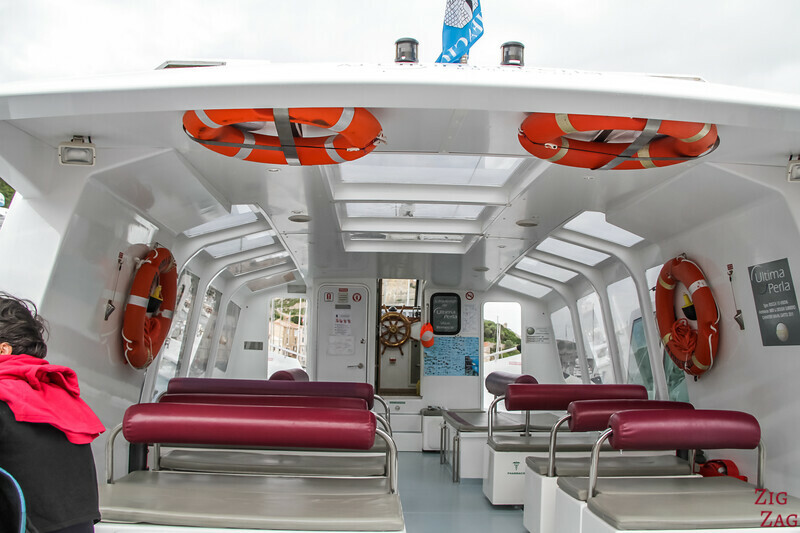 The boats have a protected section and open seating. 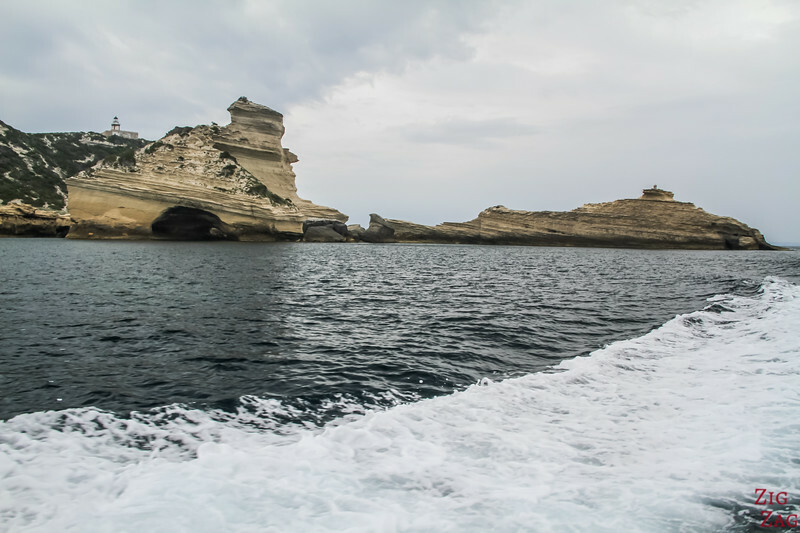 Before I tell you more about being on the islands itself, below are a few pictures of the great boat trip from Bonifacio to the Lavezzi islands Corsica. Then you leave the port protected by the peninsula. And you discover the magnificent cliffs with the houses right on top. On the way to the island, we sailed away from the cliffs to go straight to our destination. 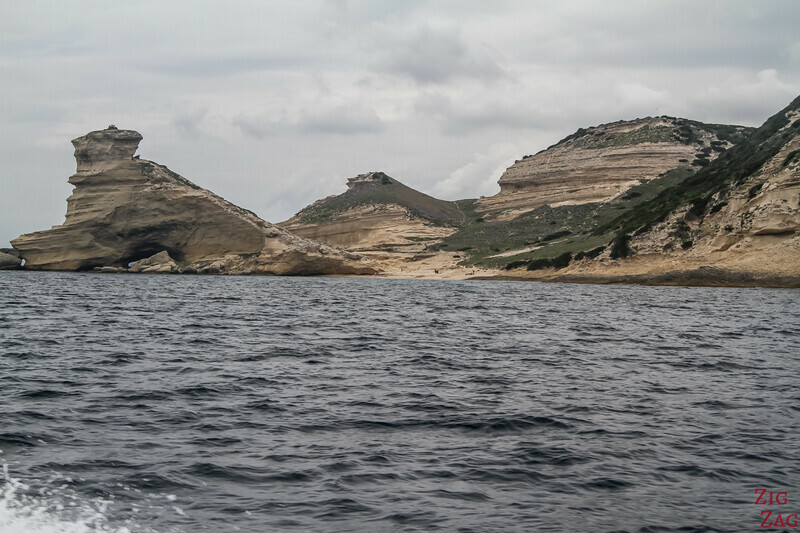 However as yo will see later in the article, the return boat trip from the Lavezzi took us up-close to the cliffs. Notice the famous Aragon staircase that allows you to get down inside the cliff! Then you approach the Lavezzi islands. One of the first things you see is the small monument; the team explains that it is in memory of the biggest shipwreck in the French naval history. 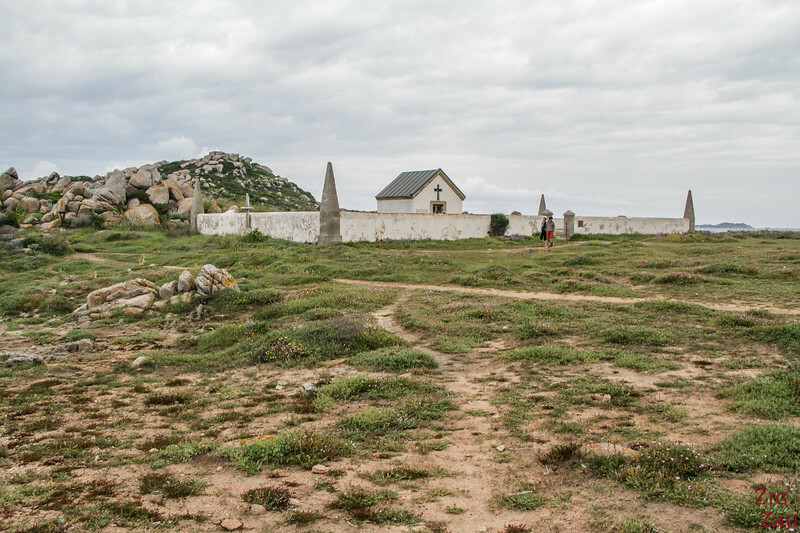 In 1855 the Sémillante crashed on those giant boulders that cover the Strait. There are 2 docking wharf that are accessible only to the approved companies. The islands have been a protected reserve since 1982. In both case going on land is easy. And then you can start walking and exploring. Plus there is no shade at all, so bring plenty of water! Some website indicates that the walking circuit can be done in 1h30. That is true if you never stop. But if you wan to explore, admire the rock formations, take pictures, find the best angles, and simply appreciate... you need much longer. There is not enough indication to my taste, but sometimes you do get small poles with direction. However the island is not that big and in the middle (between the wharves) you have the cemetery which makes it easy to find out where you are. It is a fascinating place to hike. You never know what it will look like after each rock. 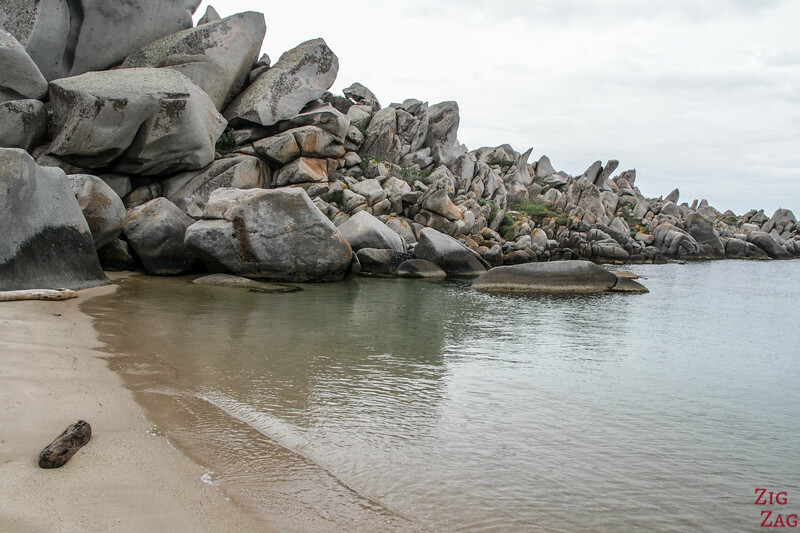 There are a few coves with beaches on the main island. Most of them are quite small with not much sand. But on the West coast, you can find 2 larger areas of sand. Most people who want to spend the day at the beach head to the longest one. This is also where most private boats head to. I did not have enough time on the island, and decided not to walk all the way there. But you can guess its beauty with the picture below taken from the boat. The mountains in the background are on Corsica's mainland. The second largest, just South of the one before is easy to access. And then you have small coves here and there. Note: the brown stuff you can see on the beach are dead leaves of sea grass. This is very common in the Mediterranean Sea. They are not the prettiest, but they are very important to the environment. 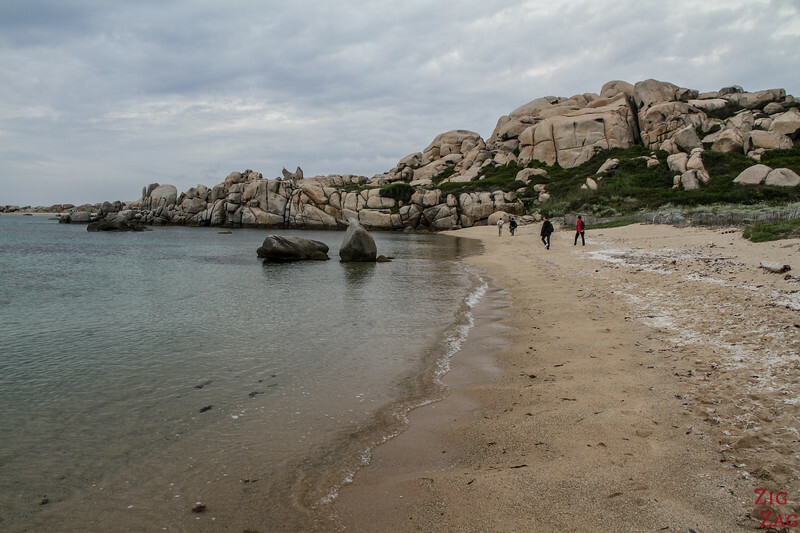 Learn more on my article about the Corsica beaches. If you have time, bring your snorkeling equipment. With the abundant granit blocks underwater, there is much to see around the island. 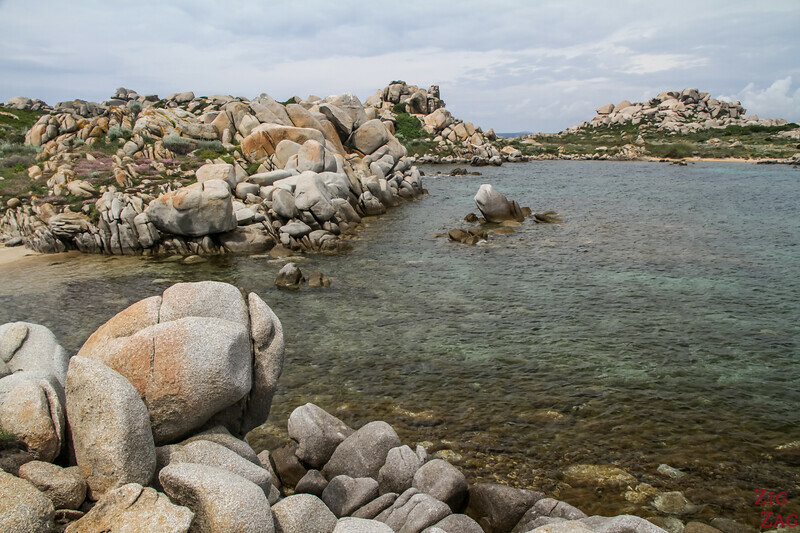 Those islands and reefs are emerged part of the granite base between Corsica and Sardinia. 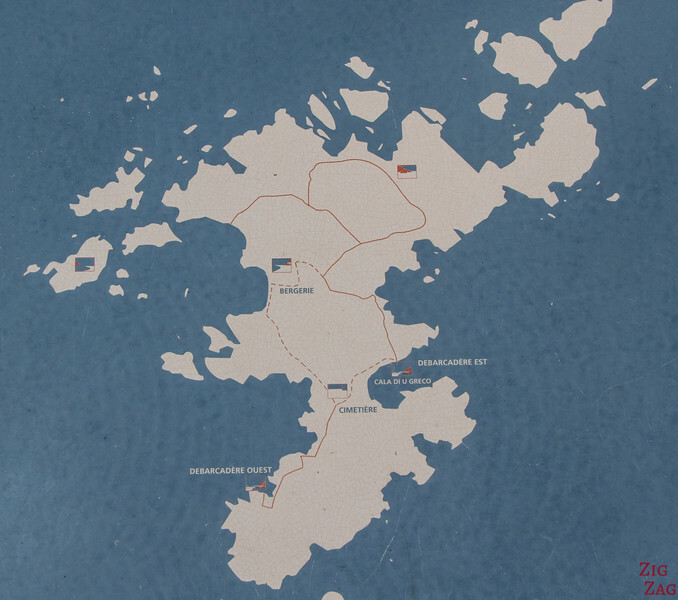 Both islands used to be connected. 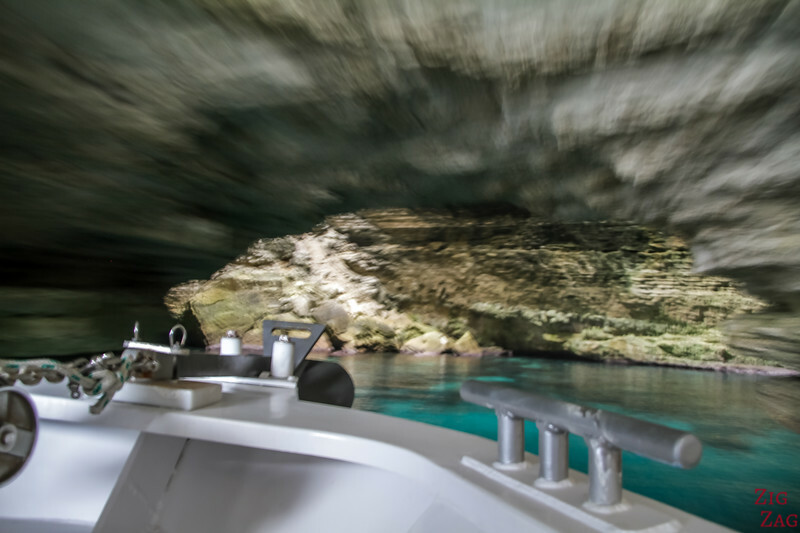 So those magnificent rocks are also present underwater and the depth is less that 20m. 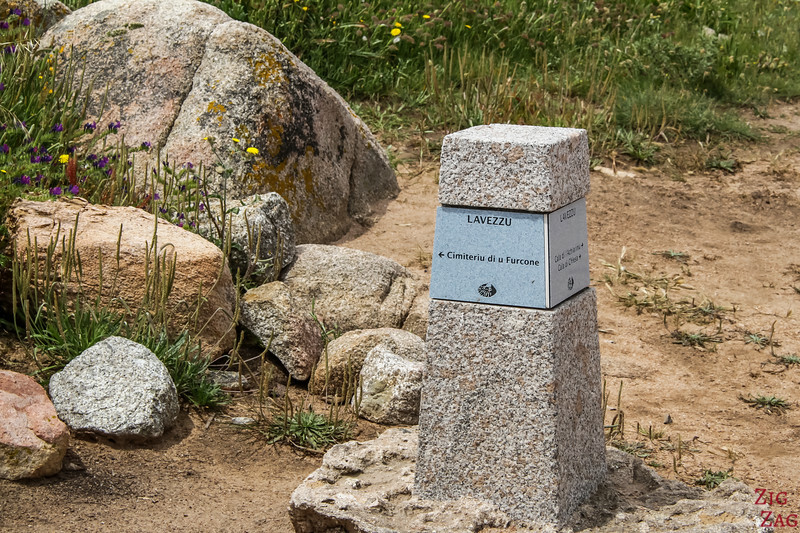 Actually 7000 years ago Lavezzu must have been accessible on foot from mainland Corsica. 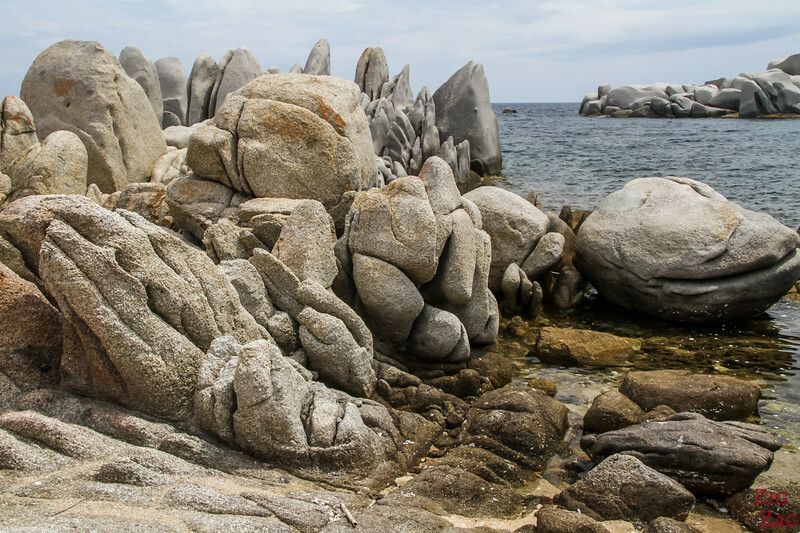 They are shaped by erosion creating shapes where you can imagine creatures and stories. This section in the picture below, looked to me like a man-made seawall but it this 'construction' is all natural! 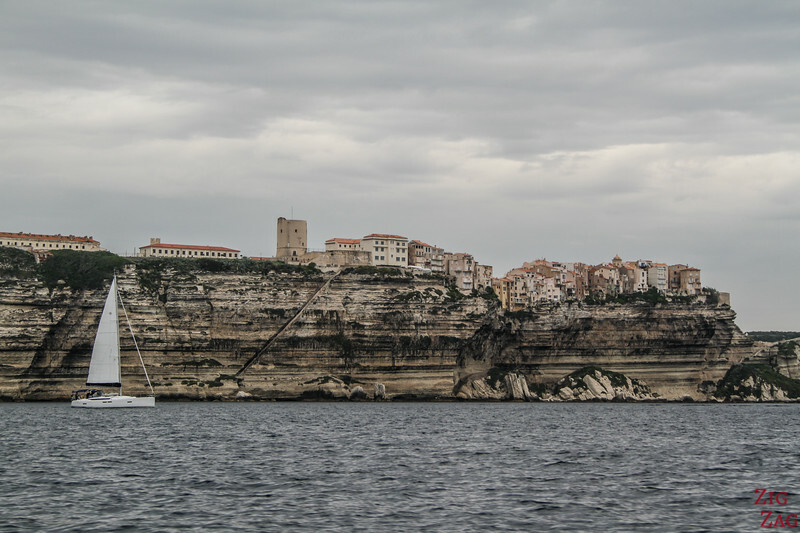 We then sailed to the coast and along the cliffs all the way to Bonifacio. Then we admire the white limestone layers at Capo Pertusato. This area can also be reached on foot and it is fascinating. 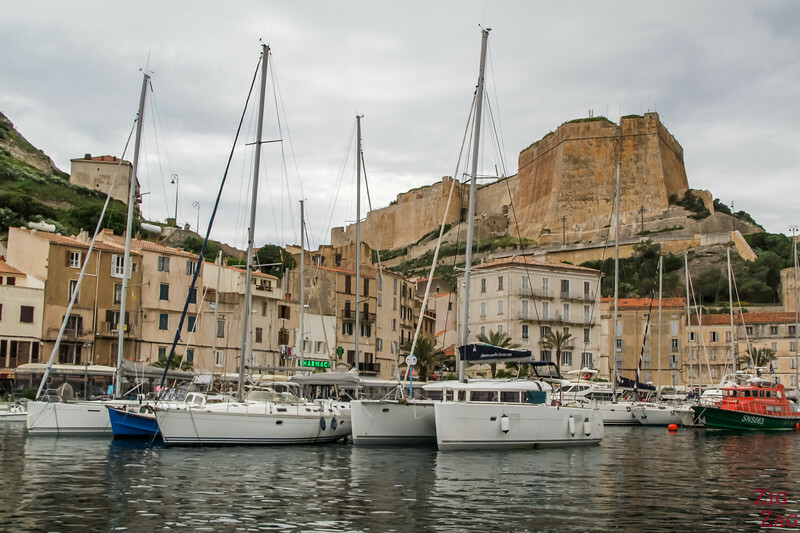 Check out my article about visiting Bonifacio. 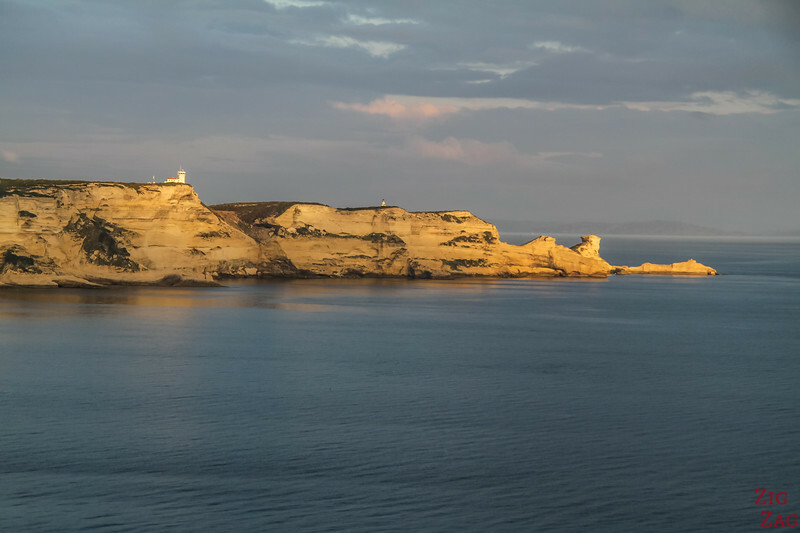 In the picture below you can see the cape from the other side with the lighthouse at the top. One of the sea stack looks like a shipwreck. 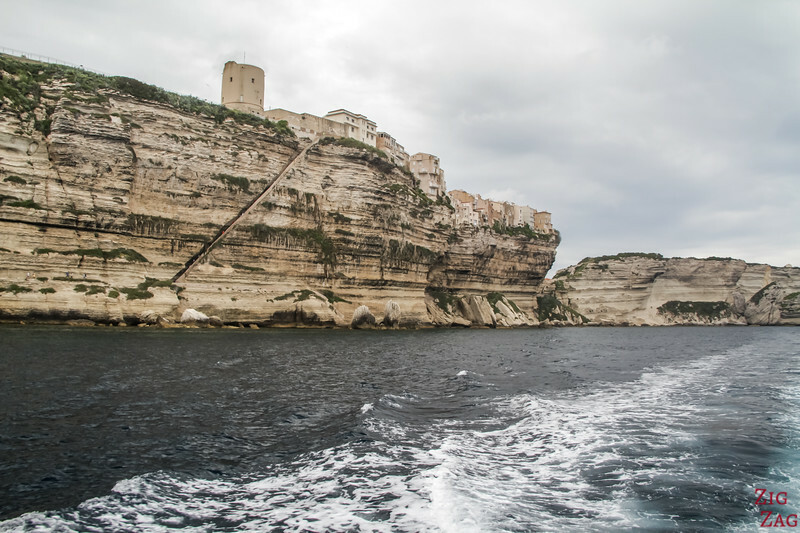 Then we sailed under the cliffs of Bonifacio. It i a very impressive to see the medieval town built right on the edge. Plus the erosion makes the houses hang above nothing: Fascinating and scary at the same time. The Aragon staircase is really impressive. I recommend visiting it! 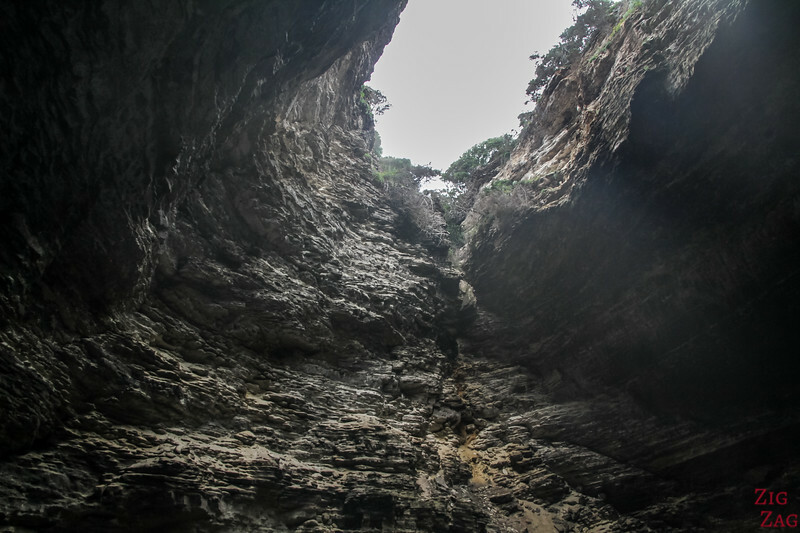 If you are very lucky, and the sea is really really calm, you might get to enter in a cave with an opening shaped like Corsica at the top. Then you head back to port. 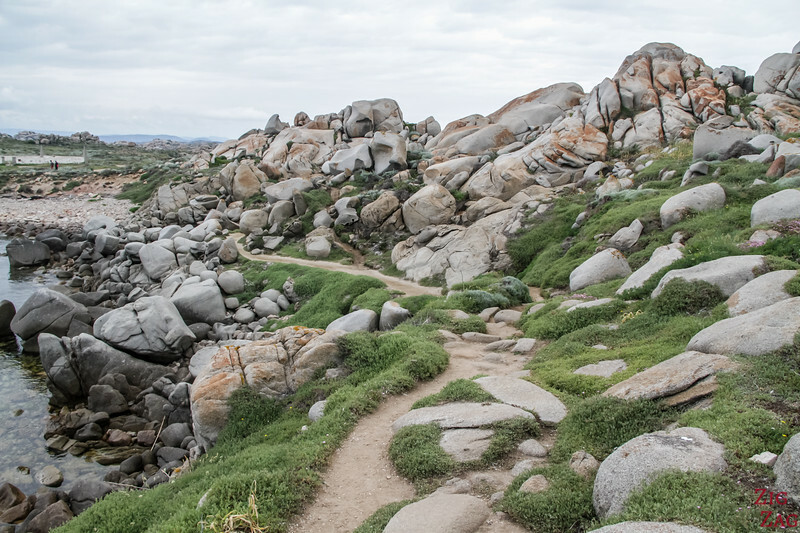 If you are fascinated by those boulders you might want to stay around it. However Lavezzu and most of the islands are protected as a reserve. 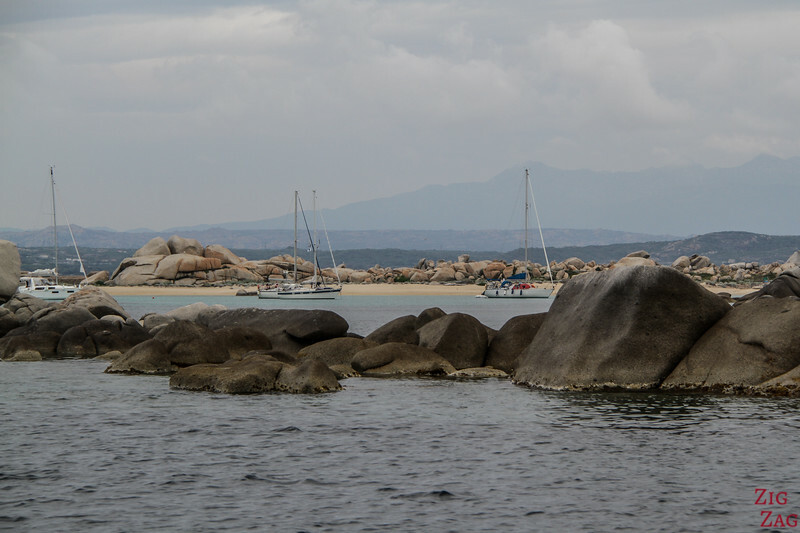 However the neighbour island of Cavallo is inhabited and has those giant boulders. There are just a few accommodations for tourists. For example you can stay at Hotel and Spa des pêcheurs by the water. Check out photos and availability. I stayed at the Hotel Santateresa. I loved the location at the end of the peninsula with free parking included, modern rooms and fantastic staff! 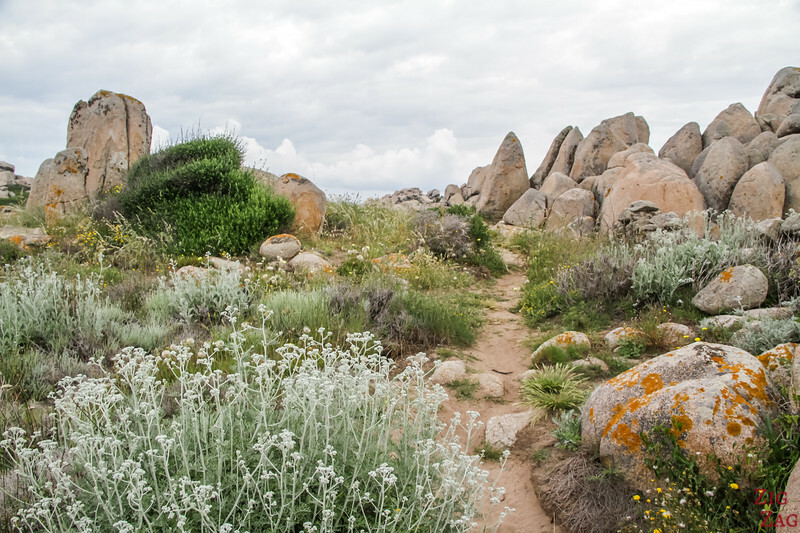 Do you like exploring giant boulders?